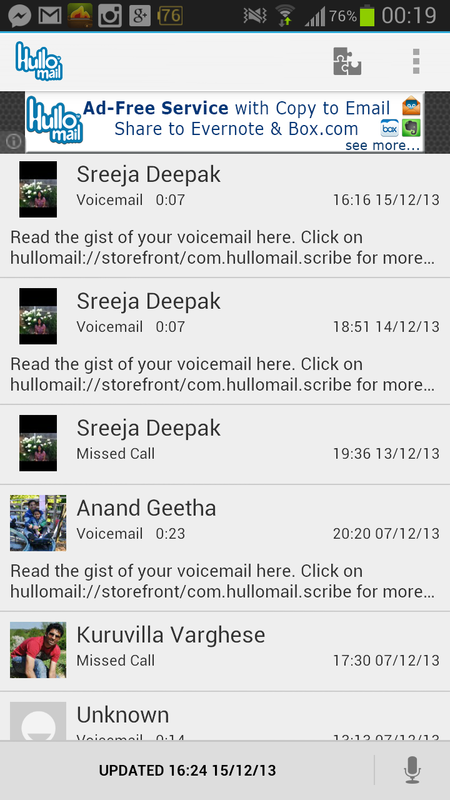 HulloMail is a visual voice mail solution which is available in UK, USA & Ireland. I have been using this from it’s initial days. Can’t praise enough ! If you have a smartphone, you should give HulloMail a try . It’s feature rich compared to the normal network voice mails . And many features are FREE ! 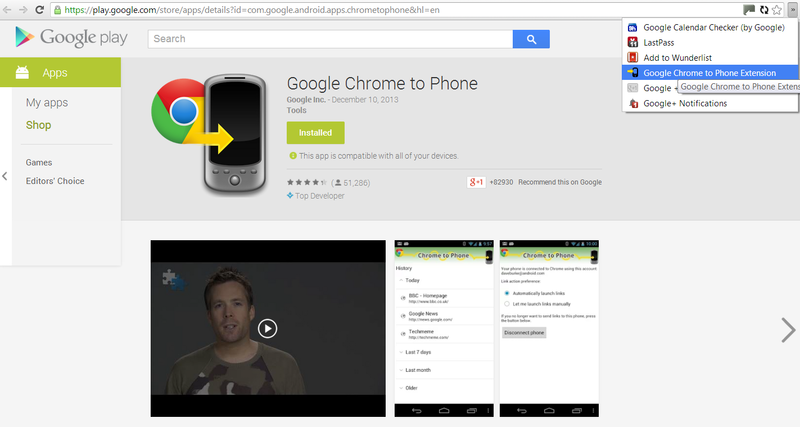 In US – Google Voice may be better , but in UK – I couldn’t find an alternative better solution. Very handy when you travel abroad – There is an option to divert all calls to voice mail and the voice mail can be picked from abroad using Internet via the App or on the computer plus the voice mail will be emailed as an attachment to you . The app can be installed on iPad & Other Android Tablets as well ! I am not sure whether some networks in UK charges these days to retrieve voice mails. Earlier retrieving voice mail were outside your calling allowance on some networks. HulloMail was a way to get around this issue as well ! Download for Android, BlackBerry and iPhone, it’s free. HulloMail is activated during the registration process as a conditional divert – meaning your calls are sent to HulloMail, rather than your standard operator. It sounds a bit complicated, but all you have to do is activate the service when the app prompts you, and you’re good to go! From this point, HulloMail will answer your incoming calls if you are not available. Then you can listen to your messages however you prefer! Use the app, check your email, or give your HulloMail number a call if you still prefer standard voicemail methods. Ultimately [and most importantly], you are in control. SMSBackup+ – Another Brilliant App on Android which is a feature iOS users are missing . And It’s FREE . I have been using this for over an year now. Simple, Flawless & Very powerful ! One of the reasons – I can’t move away from using Android as a phone. Automatically backup SMS, MMS and call log entries using a separate label in Gmail / Google Calendar. It is also possible to restore SMS and call log entries back to the phone (MMS not supported yet). They have recently added Whatsapp Chat messages backup also into the application. Including Media as well . With this app you can have your emails / sms / whatsapp all in one place. In your Gmail . I find it really easy to search for stuff . Install this app. Set it up and forget about it . It will do the hard work in the background so that your information is not lost if you lose your phone or change phones / upgrade ROM or anything else. This is better than Apple’s iCloud also in my view. 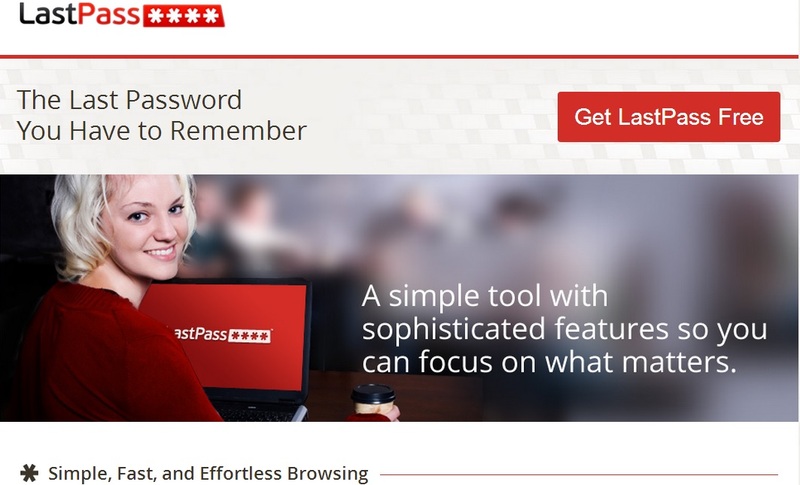 LastPass is a brilliant tool which I have been using for more than one year now . I have shown this to few of my friends and they are all very keen users now. Thought of writing about this earlier but just now managed to remember about it. This tool or similar ones are a must these days when we have logins to many different sites – Some trusted and Some dodgy. I no longer have same password for more than one site. And I don’t need to remember any of the passwords. I have purchased the premium service which costs me $1 per month . We use this in our family . No need to remember any more passwords . Form fillings have become so easy and accurate. Premium Service is needed if you want to use it on mobiles and tablets. On PC / Mac it’s free. With free account you can still use Lastpass via a browser and see the passwords stored on a mobile / tablet. Highly recommend for everyone to try the free version to start with . Lets you import passwords stored in your browser which is insecure in my opinion. Download and setup with LastPass in minutes. Once you’ve created your account, LastPass prompts you to save new sites as you browse – so you’ll never lose another password. After saving a website’s username and password, LastPass will autofill the login when you return to that site. No thought, no typing, no work required – LastPass does it for you. See all your accounts and passwords in one easy-to-use “vault”, where you can edit, delete, and organize your stored data. LastPass syncs automatically, so you’re up-to-date, wherever you are. Set up a Profile for each credit card, family member, billing and shipping address. When you’re registering for an account, or ready to complete a payment, select the Profile you want, and complete the form in a single click. Need to check that bank statement before you board your flight? Upgrade to LastPass Premium for unlimited use of our mobile apps for complete peace of mind, wherever you are. Create secure notes for credit cards, insurance cards, memberships, WiFi logins, passports, driver’s licenses, and more. Store the information you need to keep safe and private. Attach documents and images to your secure notes. LastPass backs up your files automatically, so you always have a secure, digital copy. The LastPass password generator appears when you’re creating an account or updating an existing one, so you have unique passwords that follow best security practices. Run the LastPass Security Challenge to check your progress, and identify areas where you can continue to improve your online security. LastPass also alerts you to weak and duplicate passwords as you’re logging in to your accounts, so you can generate new ones immediately. Recommended by industry experts, multifactor authentication adds a second login step when signing in to your LastPass account, so that your account is even more safe. Select one of the many multifactor authentication options we support to better protect your personal information. What a lovely Xmas present from BBC. The launch of CBBC HD, CBeebies HD, BBC Three HD, BBC Four HD and BBC News HD in time for Christmas means you’ll be able to watch more festive treats in the highest quality from the comfort of your sofa. If you have Freeview HD or YouView your receiver may pick up the changes automatically, but if not then you will need do a retune. Digital UK’s TV retune website gives advice on how to retune. Freeview HD and YouView viewers can check which new HD channels they can expect to receive using theDigital UK coverage checker. Once you’ve entered your postcode, take a look in the ‘channels’ section. If you have Freesat and you do not pick up the new channels automatically, you may need to put your digital box or TV into standby for 30 seconds and then switch it back on again. If the channels are still unavailable then carry out a ‘Freesat channel retune’. Full instructions can be found in the manual for your digital TV or box. Further help with retuning can be found at www.freesat.co.uk or by calling the Freesat customer support team on 08450 990 990. If you have Sky, you should not have to do anything. If you do have a problem receiving any of our channels, you can try turning your Sky set top box off at the mains, waiting 30 seconds and turning it back on again. If that doesn’t resolve your problem you can find more help atwww.sky.com/helpcentre. If you have Virgin Media the new streams should appear automatically. If you do have a problem receiving any of our channels, you can find more help at Virgin’s website. 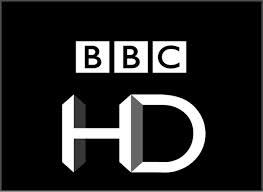 You can find detailed technical information for all BBC channels and where each appears on satellite, including our new HD services through our satellite reception advice page . Getting an Open Ear Bone conduction technology Headphones for Xmas . I always hate wearing Earphones. Should be great for running and outdoor activities . Another product which is nearly half price in USA compared to UK. Was planning to treat myself with this for Xmas but my younger brother is getting this for me . Will be a lovely present. Chuffed ! AfterShokz Bluez open ear wireless headphones combine the convenience, reliability and performance of Bluetooth wireless connectivity with the comfort and safety of open ear bone conduction technology to provide consumers with an entirely new way to stay connected. Unlike conventional Bluetooth headphones and earbuds that use the eardrums to transmit sound, Aftershokz Bluez headphones utilize patent pending bone conduction technology to deliver sound through the listener’s cheekbones to the inner ear. This enables anyone using them to make/take phone calls and stay connected to both what they are listening to and the outside world – from warning sounds outdoors while walking or driving to a nearby colleague in an office setting. Most bluetooth devices are designed for use in one ear, but AfterShokz Bluez sit comfortably in front of the ears and provide listeners with a stereophonic sound experience. The innovative and elegantly simple design of AfterShokz Bluez open ear headphones is built around a beautifully designed, highly ergonomic, extremely stable, one-piece warparound headband. The open ear design and the light weight of AfterShokz Bluez make them extremely comfortable and stable, even when used over extended periods of time. Open ear bone conduction technology. Make/take phone calls and stay connected to both what you are listening to and the outside world. Playback time: Up to 6 hours at low volume.